The first annual March Sadness tournament saw 64 men enter a single-night tournament, with Karate Hendrix becoming the inaugural winner. 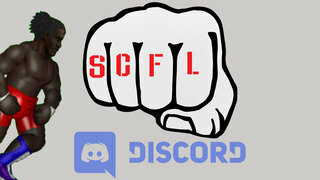 Arguably the toughest tournament in SCFL, this hours-long tournament tests mental fortitude, physical ability, and a fighter’s will to go on. The yearly tournament gathers new substitute teachers from around District 204 in an effort to bolster the ranks and help subs make some money over the summer. Held every June, the Substitute Series has introduced substittute teachers such as Xylophonist Bianchi, Ichabod Adams, October Schmidt, and two-time tournament winner Federal Bell. This summer, the substitutes will once again join the tournament while welcoming three new substitute teachers to the league. Will Federal Bell win three in a row? Will Mike Miller, or Freddy Fischer finally win? Or will a newcomer take home the crown?